Before medical science discovered how the circulatory system functioned, people believed that a vein ran directly from the fourth finger on the left hand to the heart. Because of the hand–heart connection, they chose the descriptive name vena amoris Latin for the vein of love, for this particular vein. In Western cultures a wedding ring is traditionally worn on the ring finger. This developed from the Roman “anulus pronubis” when the man gave a ring to the woman at the betrothal ceremony. Blessing the wedding ring and putting it on the bride’s finger dates from the 11th century. White did not become popular until 1840 after the marriage of Queen Victoria to Albert of Saxe-Coburg. Victoria wore a white gown for the event to incorporate some lace she prized. 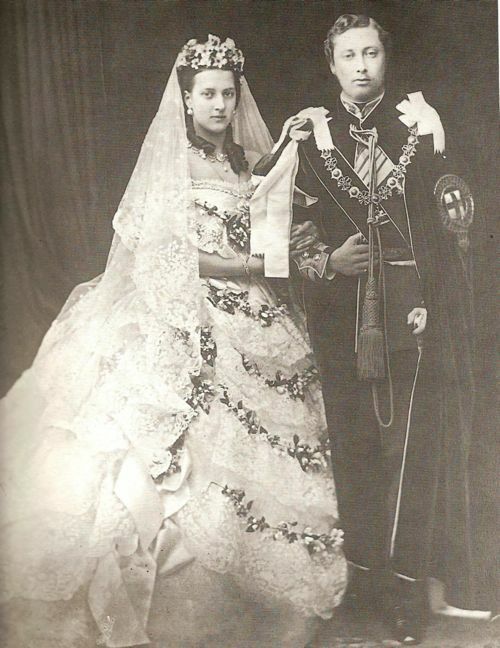 The official wedding portrait photograph was widely published, and many other brides opted for white in accordance with the Queen’s choice. The tradition continues today in the form of a white wedding, though prior to the Victorian era, a bride was married in any color, black being especially popular in Scandinavia. The colour white symbolizes virginity and purity. 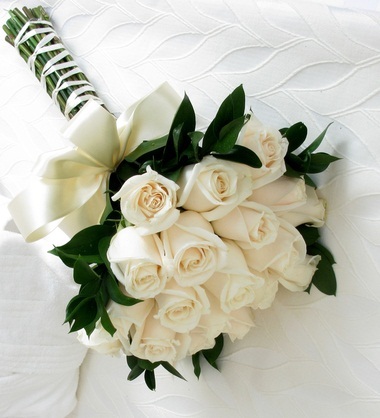 The origin of wedding flowers is cited to ancient Greek. Here, flowers and plants were used to make a crown for the bride to wear and were considered a gift of nature. Herbs and garlic was used to warn off evil spirits throughout their marriage. dill is the herb of lust. It was believed that when a bride carried it with garlic, down the aisle, she would lust only for her husband. Sage is known as the herb for wisdom. When carried with the garlic, it was believed that the bride would gather great wisdom and learn goodness. In medieval times guests would rip a shred off of the brides dress because it was considered good luck for the guest, over time this morphed into the groom throwing the bride’s garter for all the good luck hunters. Tossing the bouquet became a more civilized, which in turn prevented guests from trying to prize the garter from the bride. In the days of Kings and Queens the First Dance was used to open a ball or a special event. This special occasion was led by the guest of honor. This person was typically someone very high on the social ladder or someone of royalty. The First Dance was the grand opening for the ball. It has now evolved into a tradition at our modern-day wedding. In the past ballroom dancing was a skill that many people had. It was even apart of the educational system at one point. Because ballroom dance was a known skill, many bride and grooms used Waltz, a ballroom dance style, for their First Dance. Today we don’t have near as many adults who have trained in the skill of ballroom dance. Many couples will just sway back and forth through the duration of their wedding dance. Other couples have invested resources in learning a choreographed routine or have joined a ballroom dance class to prepare for their wedding dance. Taking wedding dance lessons is becoming a tradition that more and more engaged couples are starting to do before the wedding. In addition to the First Dance, we see more and more choreographed Father Daughter dance routines.